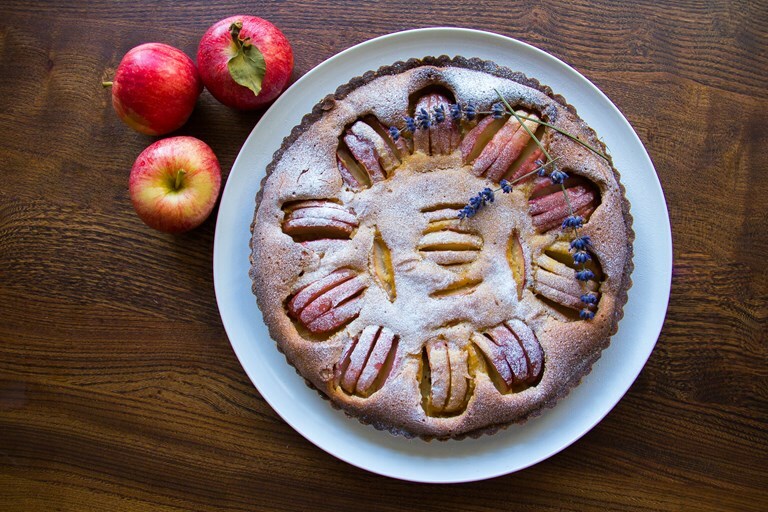 Rosana McPhee serves up a luxurious apple and brown butter tart recipe, subtly flavoured with lavender to bring some soothing floral notes to your autumnal baking. With the arrival of autumn, baking is a perfect way to enjoy comfort food and the ideal option to use up a glut of fruit. Apple season is upon us, and I bought quite a few bags to juice and to bake with. There are so many English apple varieties to rediscover this autumn. The best way is to explore the local farmers markets where smaller growers proudly display their produce and farm shops. Apple, as well as tasty, has considerable nutritional value. It contains vitamins B1, B2, and minerals such as phosphorus and iron. Apart from apples, another inspiration for this recipe is brown butter. That is made by just melting butter until the milk evaporates, and the solids start to burn; the result is a caramel coloured and nut flavoured liquid. Simply divine! You can use any other nuts you prefer – I have used Brazil nuts, and it was spectacular! I froze the butter for the pastry for a better result. 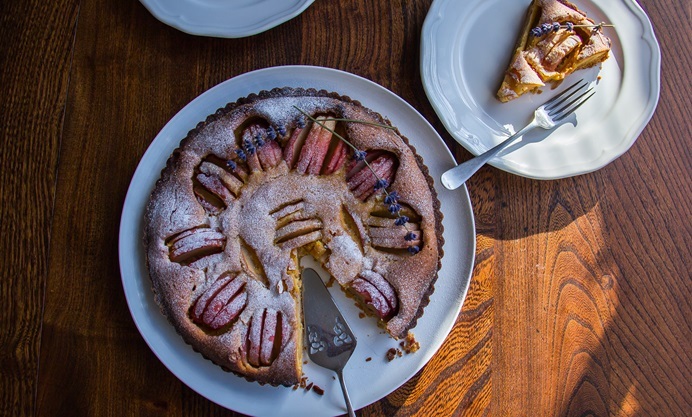 For this recipe, you will need a 23cm loose-bottomed tart tin.